1565 - Oprichnina founded by Ivan the Terrible - 6,000 man force. 1570 - Oprichnina massacres inhabitants of Novgorod. c. 1690's - Preobrazhensky Prikaz founded by Peter the Great. 1826 - Third Section of the Imperial Chancellery established as political police by Czar Nicholas I. Count Benckendorff becomes first head of the Third Section. 1823 - 1861 - 290,000 people sentenced to Siberian exile or hard labor. 1844 - Count Aleksai Orlov becomes head of Third Section on death of Count Benckendorff. Penalties established for writing or distributing works intended to arouse disrespect for Sovereign Authority. Czar Alexander II abolishes serfdom and frees Russian peasants. Radical idealists tour countryside trying to rouse peasants into opposition to Czarism. 1878 - General Mezentsov, chief of gendarmes & head controller of Third Section, stabbed to death in broad daylight in St. Petersburg. August 1880 - Third Section abolished and replaced by a new Department of State Police. Political crime made responsibility of Special Department (Osobyi Otdel). 1881 - Regional network of Security Sections (Okhrannoye Otdelenie) established. Political police system becomes collectively known as the Okhrana. March 1, 1881 - Czar Alexander II assassinated with a bomb. 1880's - Seventeen people executed for political crimes. 1901 - 4,113 Russians in internal exile for political crimes; 180 at hard labor. February 1901 - Minister of Education N. P. Bogolepov assassinated. April 2 1902 - Interior Minister D. S. Sipyagin assassinated. February 8, 1904 - Russo-Japanese War begins with Japanese attack on Port Arthur. July 15, 1904 - Interior Minister V. K. Plehve assassinated with bomb. January 7-8, 1905 - Major industrial strike in St. Petersburg. January 10, 1905 - Industrial strikes throughout Russia. December 6, 1905 - General strike ordered by St. Petersburg Soviet. December 8, 1905 - Government orders troops in against Moscow insurgents. 1906 - Assassination of Grand Duke Sergei Aleksandrovick, governor-general of Moscow. August 12, 1906 - Attempted assassination of Stolypin. September 1, 1911 - P.A. Stolypin, Prime Minister and minister of the interior, assassinated. Okhrana agent Roman Malinovsky brought into Bolshevik Central Committee by Lenin, elected as Bolshevik deputy to the Duma. Lenin assigns Malinovsky to three-man 'provocation commission' to deal with Okhrana penetration. 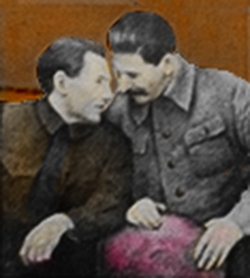 February - Central Committee members Joseph Stalin and Yakov Sverdlov arrested based on information supplied by Malinovsky. May - V. F. Dzhunkovsky, new deputy minister of the interior, fearing disclosure that Okhrana agent was a member of the Duma, orders payoff of Malinovsky. Malinovsky resigns from Duma and leaves St. Petersburg after being paid 6,000 rubles. February 23-24 - Demonstrations in Petrograd for International Women's Day. February 25 - Demonstrations turn violent. February 26 - Volynskii Regiment fires on crowd; 40 killed. March 4 - Provisional Government abolishes Police Department. October 10 - Bolshevik Central Committee votes in favor of armed seizure of power. October 24 - Bolsheviks take over Petrograd in response to government actions. October 25 - Lenin declares Provisional Government deposed. November 17 - Bolshevik troops forcibly take 5 million rubles from State Bank. December 7 (December 20 - Western calendar date) - Cheka (secret police) established. All-Russian Extraordinary Commission for Combating Counterrevolution and Sabotage. (Vserossiiskaya Chrezvychainaya Komissiya po Borbe i Sabotazhem). Feliks Dzerzhinsky becomes first director. January 1 - Assassination attempt on Lenin. February 21-22 - Lenin issues decree authorizing summary execution of opposition. May - Czechoslovak Legion revolts in Siberia. Counterespionage section set up within Cheka's Department for Combating Counterrevolution. Yakov Blyumkin, Left Socialist Revolutionary (LSR) becomes first section chief. May 9 - Worker demonstrators fired on by Bolshevik troops at Kolpino. June - Beginning of "War Communism." Industry nationalized and grain forcibly requisitioned. (Ends in March 1921). July 4 - LSR Central Committee approves plot to assassinate German ambassador, in hopes that will end Brest-Litovsk Treaty. July 6 - Blyumkin and Nikolai Andreev assassinate German ambassador in Moscow, Count Wilhelm Mirbach. LSR rises against government. Cheka's headquarters seized and Dzerzhinsky taken prisoner. July 7 - LSR uprising suppressed by Latvian troops. 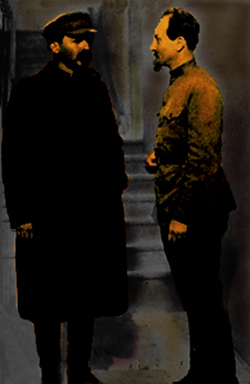 July 8 - Dzerzhinsky steps down and commission investigates rising. July 16-17 (night) - Nicholas II, family and servants murdered in Ekaterinburg. July 21 - Bolsheviks massacre 350 prisoners following revolt at Iaroslavl. July - Bolshevik authorities execute 1,115. July - Eighteen anti-Bolshevik governments emerge in Russia. August 2 - Allied force of British Royal Marines, French battalion, and fifty American sailors land at Archangel. August 22 - Dzerzhinsky reinstated as chairman of Cheka. August 30 - Head of Petrograd Cheka, M. S. Uritskii, assassinated in morning. Assassination attempt on Lenin by Fannie Kaplan in evening. August 31 - Cheka arrests Robert Bruce Lockhart, ending so-called "Lockhart plot" against Bolshevik government. September 1 - Cheka raids apartment of French agent Henri de Vertement, and discover explosives. September 2 - Sovnarkom announces breakup of Lockhart conspiracy. September 5 - Bolsheviks launch Red Terror; Prisoners and hostages massacred. October - Malinovsky, former Okhrana agent returns to Russia. November 6 - Malinovsky shot in the gardens of the Kremlin after trial by revolutionary tribunal. February 17 - Dzerzhinsky calls for creation of concentration camps. October - Comintern sets up two Western organs to spread revolution. Western European Secretariat (WES) in Berlin; Western Bureau in Amsterdam. January 17 - Lenin and Dzerzhinsky issue decree ending death penalty for "enemies of the Soviet Authorities." February 6 - Lenin tells conference of local Chekas that death penalty might still be needed. February - Dutch police arrest delegates to Western Bureau conference after recording proceedings on a Dictaphone. April - Western Bureau discontinued. December - Number of concentration camps reported to be 84. December 20 - Foreign Department (Inostrannyi Otdel) (INO) created within Cheka to deal with foreign intelligence collection. January - Boris Savinkov forms anti-Bolshevik organization called the People's Union for Defense of Country and Freedom (NSZRiS). February - Mass strikes in Petrograd. February 9 - Peasant uprising in western Siberia. Government forced to commit 50,000 regular army troops to end rebellion. February 28 - Garrison at Kronstadt fortress mutinies. March 17 - Comintern delegation under Béla Kun persuades German Communist Party (KPD) to attempt insurrection. March 21 & 22 - Strikes and unrest begin in Germany. March 24 - KPD calls for general strike. April 1 - KPD calls off general strike ending insurrection. 145 workers killed during insurrection; 3,470 arrested. August - Mikhail Abramaovich Trilisser becomes head of INO. Autumn - Fictitious organization, Monarchist Association of Central Russia (MOR), known as Trest (Trust), created to deal with White Russian émigré opposition groups. Late 1921 - KRO (Counterespionage Department) formed. February 6 - Cheka abolished. Replaced by GPU (Gosudarstvennoye Politicheskoye Upravlenie) (State Political Directorate) and incorporated into NKVD (People's Commissariat for Internal Affairs). July - GPU becomes OGPU (Obyeddinenoye Gosudarstvennoye Politicheskoye Upravlenie) (United State Political Directorate) on formation of U.S.S.R.
Summer - Code and cipher systems changed. January 21 - Lenin dies. August 15 - Boris Savinkov, founder of anti-Bolshevik organization NSZRiS arrested after entering Russia. August 27 - Savinkov confesses to anti-Bolshevik plotting in show trial; sentenced to ten years in prison. May - Boris Savinkov dies in Lubyanka prison, probably killed after being pushed down stairwell. September 25 - British spy, Sidney Reilly, crosses Finnish border into Russia. Later arrested in Moscow. November 3 - Sidney Reilly shot. July 20 - Feliks Dzerzhinsky dies of heart attack. Vyacheslav Rudolfovich Menzhinsky succeeds Dzerzhinsky as head of OGPU. Stalin begins to use OGPU against personal opposition. Disclosure of Soviet espionage in eight foreign countries embarrasses OGPU and leads to overhaul of organization. March - Spy ring, headed by Daniel Vetrenko, former White Russian general, exposed in Poland. Soviet-Turkish trade corporation official caught spying on Turkish-Iraqi border. Two members of Soviet spy ring arrested in Switzerland. April - Documents on Soviet espionage discovered during police raid on the Soviet consulate in Beijing. Eight members of Soviet spy ring arrested in France. May - Austrian foreign ministry officials disclosed as having supplied OGPU with secret information. Special Branch finds intelligence documents during raid on the All-Russian Co-operative Society (Arcos) in London. May 26 - Britain breaks off diplomatic relations with Soviet Union. Communist Party officials order destruction of documents at all foreign embassies. OGPU adopts "one-time pad" cipher system for high-grade communications. September - Illegal "printing shop" discovered by OGPU agent in Left Opposition offices. November - Trotsky, Zinoviev, and almost 100 followers expelled from Party after Stalin reports to Central Committee and Central Control Commission that Left Opposition was colluding with Whites. January 17 - Trotsky arrested at Moscow apartment and sent into internal exile. March - OGPU announces discovery of "counterrevolutionary plot" in the Shakhty coal mines of the Donbass region. May - Show-trial of Shakhty conspirators begins. Fifty Russians and three German technicians and engineers charged with "wrecking" - sabotage, and espionage. Eleven sentenced to death at end of trial; six later reprieved. 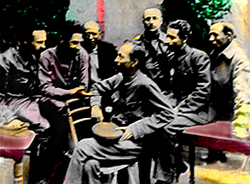 January - February - Politburo session confrontation between Stalin and Rykov, Bukharin, and Tomsky. February - Trotsky exiled from Russia. April - Menzhinsky, head of OGPU, suffers heart attack. Deputy chairman, Genrikh Grigoryevich Yagoda, assumes power. June - Government begins implementing collectivization. November - Bukharin removed from Politburo. OGPU takes jurisdiction of all prisoners serving sentences of over three years, whether crimes were considered political or not. December - Yagoda ousts Trilisser from leadership of INO. December 27 - Stalin calls for dekulakization, the "liquidation of kulaks as a class." OGPU begins arresting and executing heads of kulak families. 1929 - British Foreign Office clerk, Ernest Holloway Oldham, walks into Soviet Embassy in Paris and offers to sell British diplomatic cipher for $2,000. January 27 - OGPU kidnaps White Russian General Kutepov in Paris. Later dies of heart attack aboard ship, before reaching Moscow. March 2 - "Dizzy with Success" Pravda article. Stalin publicly criticizes officials for "excesses" in collectivization campaign. September - Stalin pressures local officials to resume collectivization campaign. September 22 - Public announcement in the press that the OGPU had uncovered a "counterrevolutionary society" involved in a plot to sabotage Russia's food supply. September 24 - Announcement that forty-eight officials of People's Commissariat of Trade, including Professor Alexander Ryazantsev, had been shot after confessing to sabotaging food supplies. March - Six British electrical engineers working for the Metropolitan-Vickers Company arrested on charges of sabotage and espionage. May - Menzhinsky dies. Succeeded by first deputy, Yagoda. July - OGPU becomes GUGB (Main Administration of State Security). Stalin's personal secretariat, headed by A. Poskrebyshev, oversees NKVD operations. December 1 - Kirov assassinated in Smolny. December 5 - Military Collegium orders 39 executed in Leningrad; 29 executed in Moscow. December 22 - Announcement that followers of Zinoviev, including Nikolayev, had set up underground terrorist organization with two branches, the "Moscow Center" and the "Leningrad Center." December 30 - Execution of members of "Moscow Center" and "Leningrad Center" announced. January - Political trials of former opposition leaders. Government sentences all to prison. Zinoviev sentenced to ten years. Kamenev sentenced to five years. October - Donald Maclean, one of "Cambridge Five" Soviet agents, begins work for British Foreign Office. First show trial of former opposition leaders. Confess to organizing Kirov's assassination. August 25 - Zinoviev, Kamenev and other defendants executed. September - NKVD investigation clears Bukharin and Rykov of involvement in anti-government conspiracies. September 25 - Telegram from Stalin to Politburo demanding that Nikolai Yezhov replace Yagoda as head of NKVD. Yezhov appointed head of NKVD (People's Commissariat of Internal Affairs). Yagoda becomes commissar of Communications; Yagoda's deputy, Georgi Prokoviev becomes deputy commissar of Communications. Beginnings of Yezhovshchina - Great Terror. January - Show trial in Moscow, includes Pyatakov and Radek. 13 sentenced to death. March 18 - Yezhov reveals counterrevolutionary conspiracy within the ranks of the NKVD. Seventeen of Yagoda's commissars of state security eventually shot. March - Artur Khristyanovich Artuzov, former head of INO, arrested and shot. June 11 - Announcement that Marshall Tukhachevsky and seven other generals had been charged with treason. Estimated number of victims killed for 1937: 353,000. February - Abram Slutsky, head of INO, dies at office of Yezhov's deputy, Mikhail Frinovsky, after eating tea and cakes. February - Lev Sedov, Trotsky's son, dies at Paris clinic after appendix operation. March 2 - Opening of last show trial - "Bloc of Rightists and Trotskyites." March 15 - Bukharin, Rykov, and Yagoda, along with 18 others shot. July - Lavrenti Beria, head of Transcaucasian NKVD, becomes Yezhov's first deputy. December 8 - Yezhov dismissed from NKVD and replaced by Beria. Estimated number of victims killed for 1938: 328,000. August - Trotsky assassinated in Mexico by NKVD agent Ramón Mercader. February 3 - Overhaul of NKVD results in security and intelligence section assigned to NKGB (Narodny Kommissariat Gosudarstvennoy Bezopastosti) (People's Commissariat of State Security), headed by Vsevolod Nikolayevich Merkulov. March 21 - Stalin receives report warning of German surprise attack. June 22 - German invasion of Russia begins Operation Barbarossa, catching Stalin by surprise. July - NKGB reincorporated into NKVD as GUGB (Main Administration of State Security). April - Smersh (Smert Shpionam) (Death to Spies), "special departments" unit detached from NKVD and set up as separate unit. Spring - Donald Maclean posted to British embassy in Washington. August - Klaus Fuchs, Soviet agent, begins work at atomic laboratory at Los Alamos. February - Yalta conference of Big Three attended by Roosevelt, Churchill, and Stalin. August 6 - Atom bomb "Little Boy" dropped on Hiroshima. Allan Nunn May, British scientist, provides Ottawa GRU (Glavnoye Razvedyvatelnoye Upravlenie) (Soviet military intelligence agency) agent Pavel Angelov, report on atomic research, details of Hiroshima bomb, and samples of uranium. August - Beria given control of Russia's atomic project. September - Soviet cipher clerk in Ottawa, Irgo Gugenkov, defects to West, revealing Soviet spy ring in Canada and activities of Allan May. March - Smersh closed down and merged into Third Main Directorate of the MGB (Ministerstvo Gosudarstvennoye Bezopasnosti), Ministry of State Security. NKVD becomes MVD (Ministerstvo Vnutrennikh Del). June - Klaus Fuchs leaves Los Alamos for Britain. February - Donald Maclean appointed joint secretary of the Combined Policy Committee coordinating Anglo-American-Canadian nuclear policy. July - U.S. Central Intelligence Agency (CIA) created. Meredith Gardner, cryptanalyst at U.S. Army Security Agency (ASA) decrypts NKGB messages (code-named Venona). August 29 - First atomic bomb detonated by Soviet Union at test site in Kazakhstan. June - David Greenglass, former GI machinist, admits to being Soviet agent while working at Los Alamos. May 25 - Donald Maclean and Guy Burgess flee Britain and defect to Soviet Union. 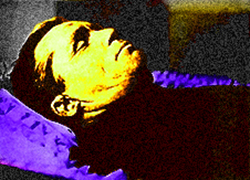 March 1-2 - Stalin suffers severe brain hemorrhage during night. March 5 - Stalin dies. 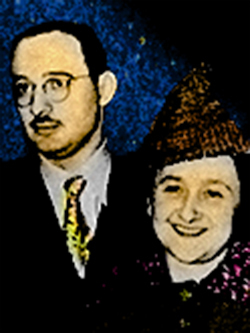 June 19 - Julius and Ethel Rosenberg die in electric chair at Sing Sing prison. 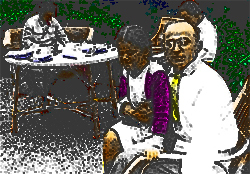 June 26 - Beria arrested at special meeting of the Presidium, presided over by Nikita Khrushchev. December 24 - Announcement that Beria had been tried and executed. March - Creation of KGB (Komitet Gosudarstvennoy Bezopasnosti) Committee of State Security, from Ministry of State Security (MGB).